Meatza is delicious, simple and versatile, but a way to make it even simpler is to take it apart and destroy its form. That’s exactly what I did with this destructed pesto meatza. 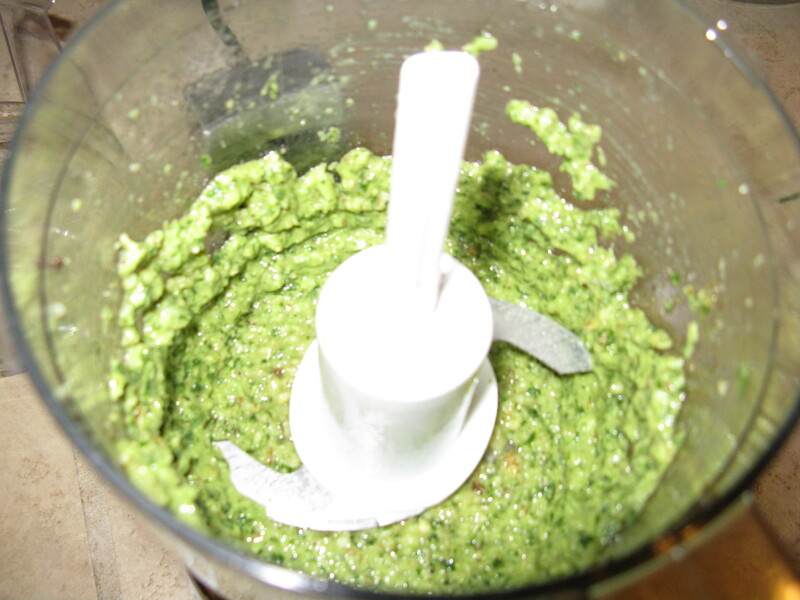 To the food processor, add two cloves of garlic, about 1/2 – 3/4 cup fresh basil leaves, about 1/4 cup extra virgin olive oil, about two to three tablespoons of raw walnuts, and sea salt and pepper to taste. Blend everything together until all the ingredients are ground up and well incorporated. Taste and adjust any ingredients if necessary. Melt the butter in a large pan over medium heat. Add ground turkey and mix around in the pan, breaking up the chunks of meat. After a minute or two, add the mushrooms and zucchini to cook with the browning meat. Add sea salt and pepper, to taste. Once the meat is browned, add the chopped tomatoes. I also added several sliced cherry tomatoes that I needed to use up. Stir well. Now, take the pesto and add it to the pan with the meat and veggies. Stir well and add red pepper flakes to taste. 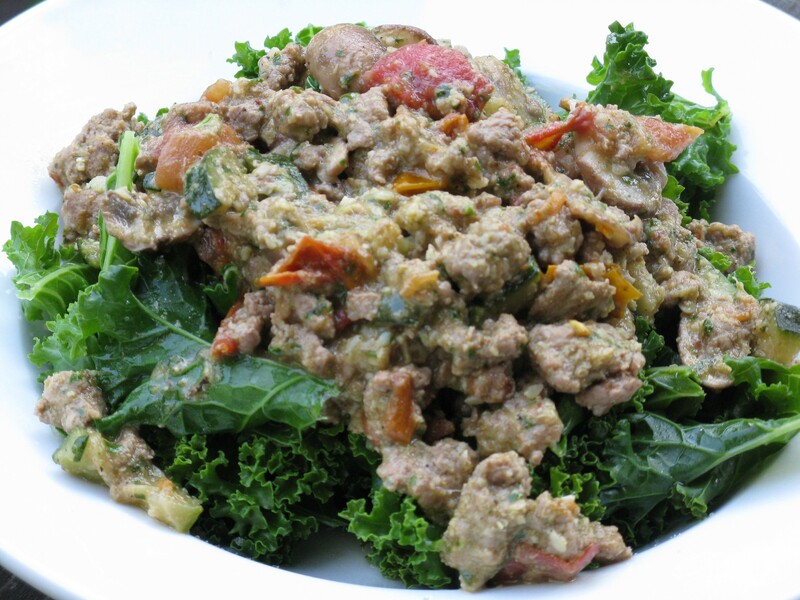 Serve on top of a bed of steamed kale.